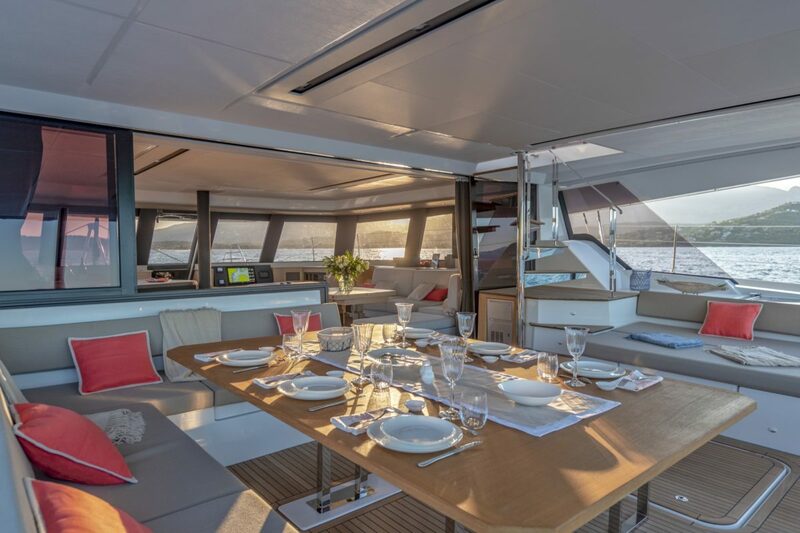 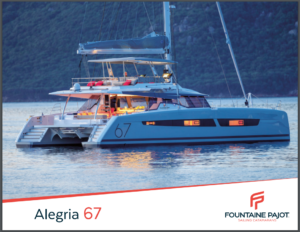 You will fall in love with the Alegria 67’s stunning interior, which features softer and more asymmetrical lines that emulate the latest in contemporary design trends. 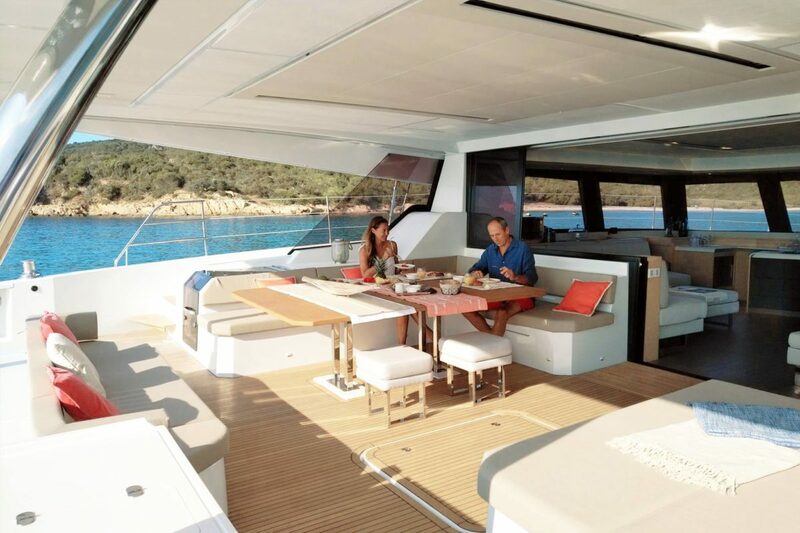 The Alegria 67, with its considerable size and spaciousness, includes a magnificent flybridge. 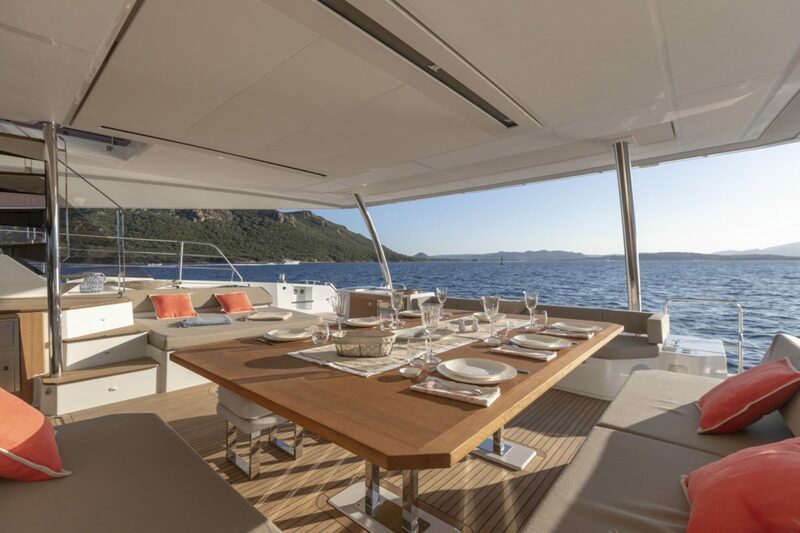 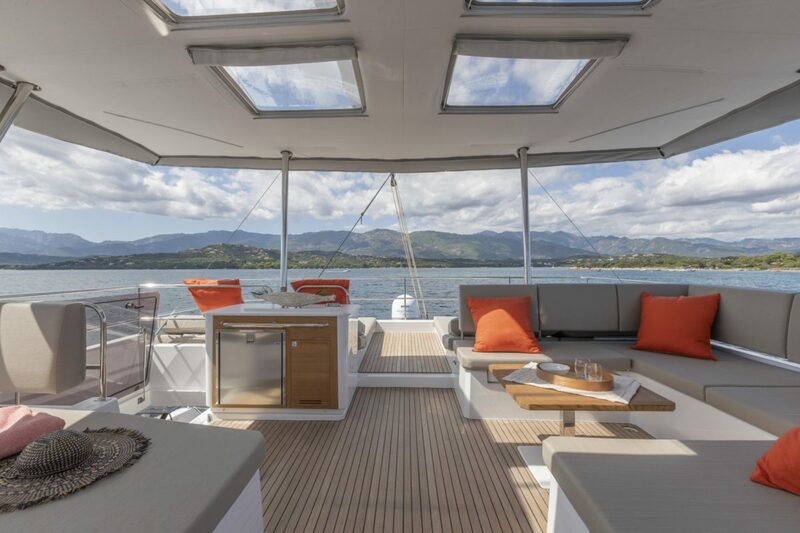 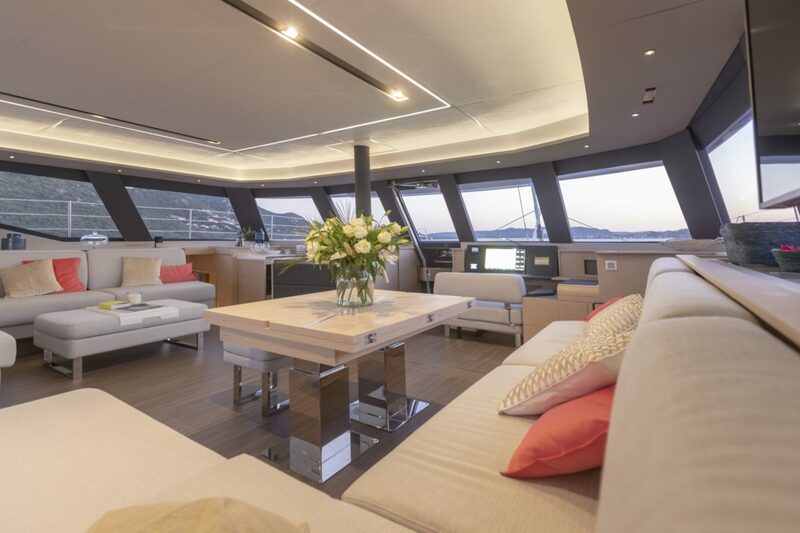 Easily accessed from both sides of the cockpit, this area is inviting while blending perfectly into the elegant lines of this boat, signed by Fountaine Pajot. 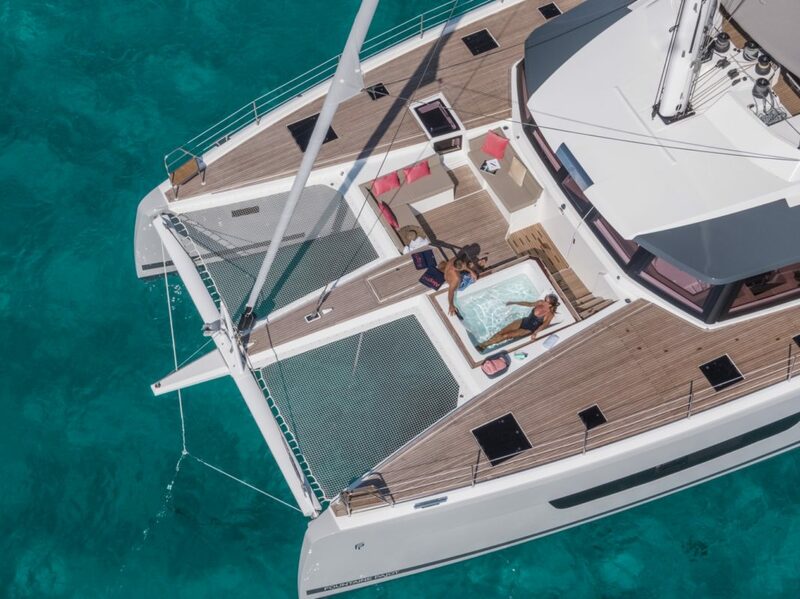 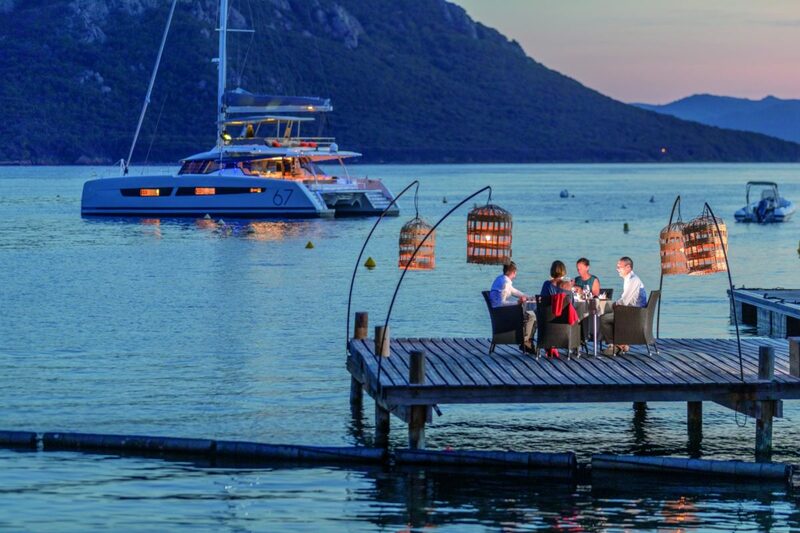 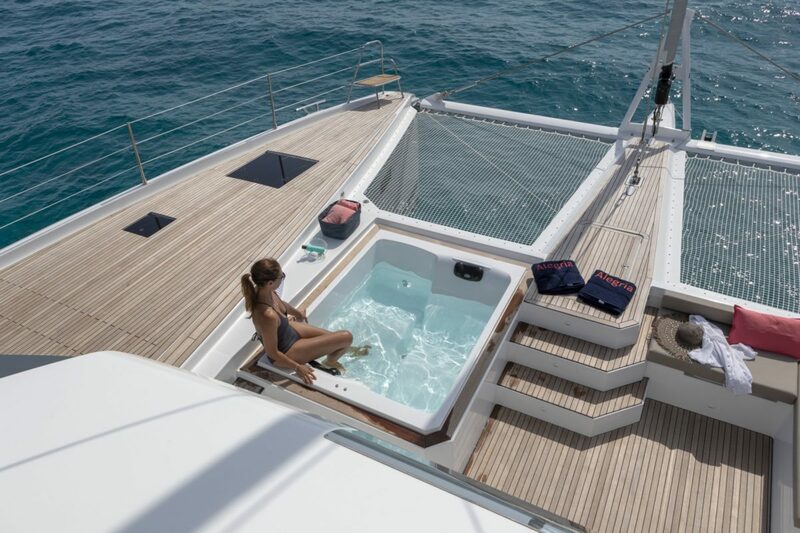 Atlantic Cruising Yachts has been the leading international dealership and commissioning agent for Fountaine-Pajot for over 20 years and has the unique commissioning skills required to ensure your Alegria 67 is equipped and delivered to be the yacht you deserve. 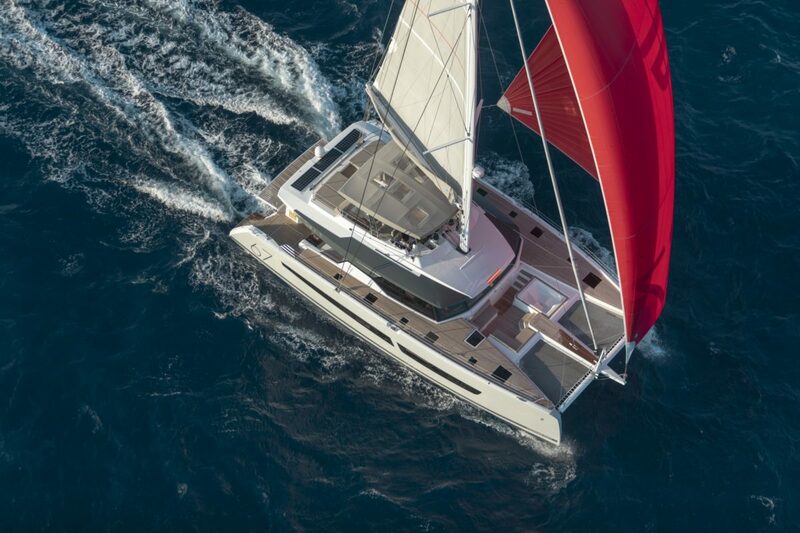 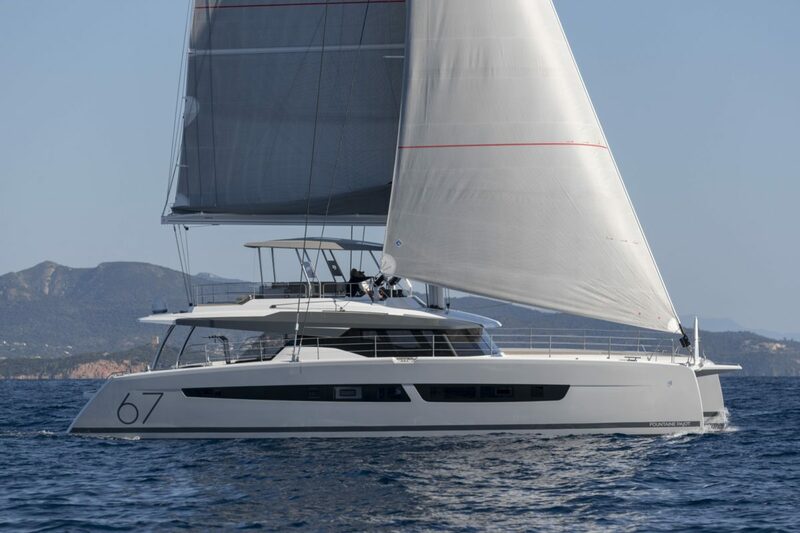 This superb catamaran is the remarkable culmination of Fountaine Pajot’s technological advances and innovative concepts, specifically designed for optimal safety and offshore performance. 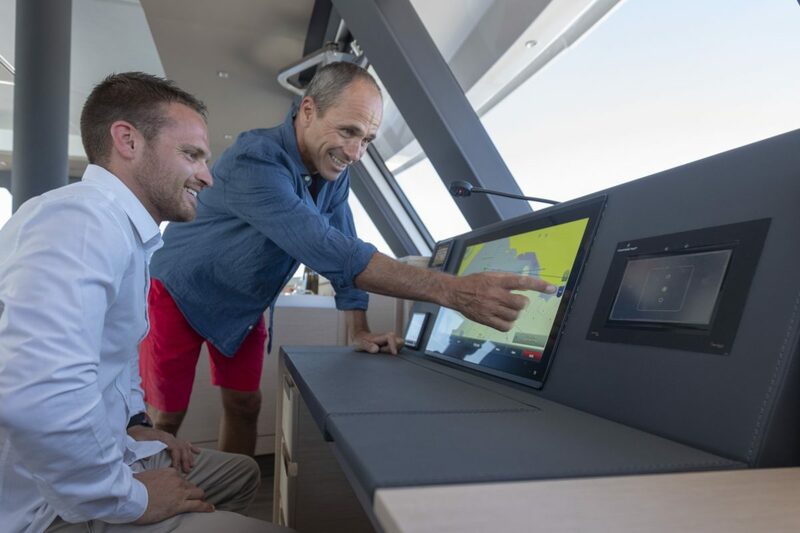 The Lounge Deck is segregated from the helm station and control lines, ensuring uninterrupted relaxation for guests while still allowing easy communication with the skipper. 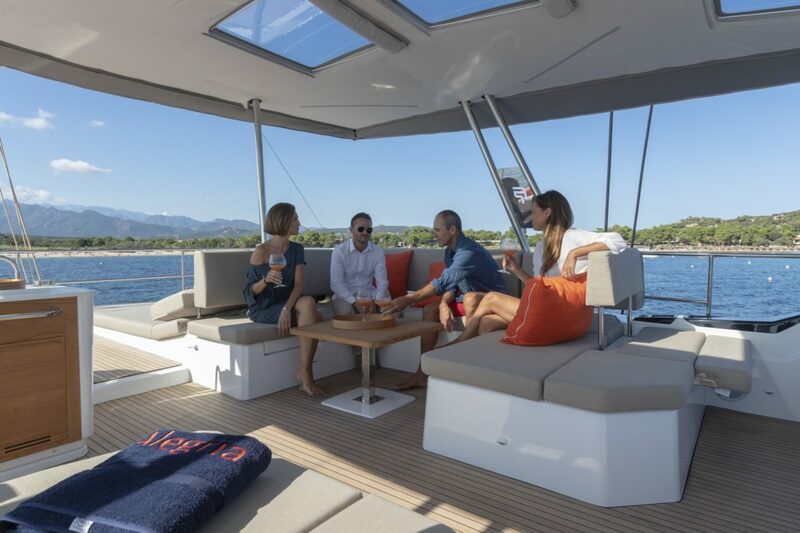 Aesthetics are paramount and the boat’s sleek lines are not compromised by practicality, with the solar panels integrated into the coachroof. 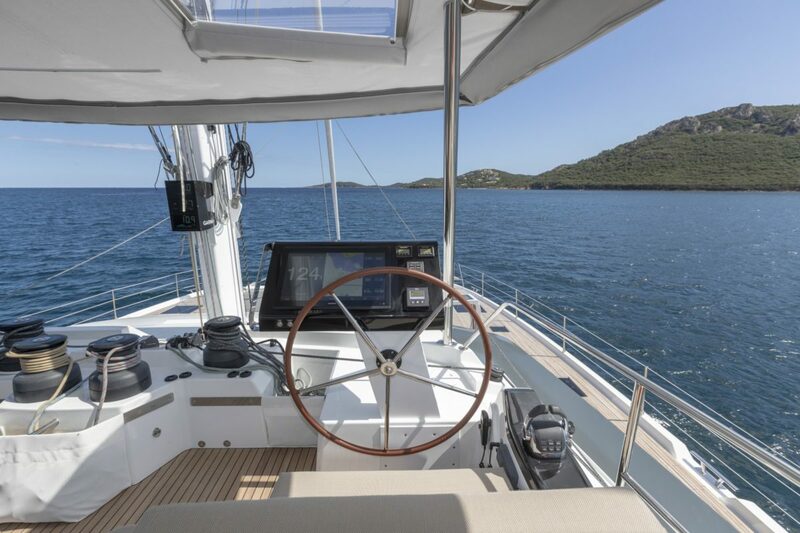 The ergonomic steering and maneuvering position affords panoramic visibility with a bimini to protect from inclement weather conditions and is designed to be unobtrusive of the boat’s living areas. 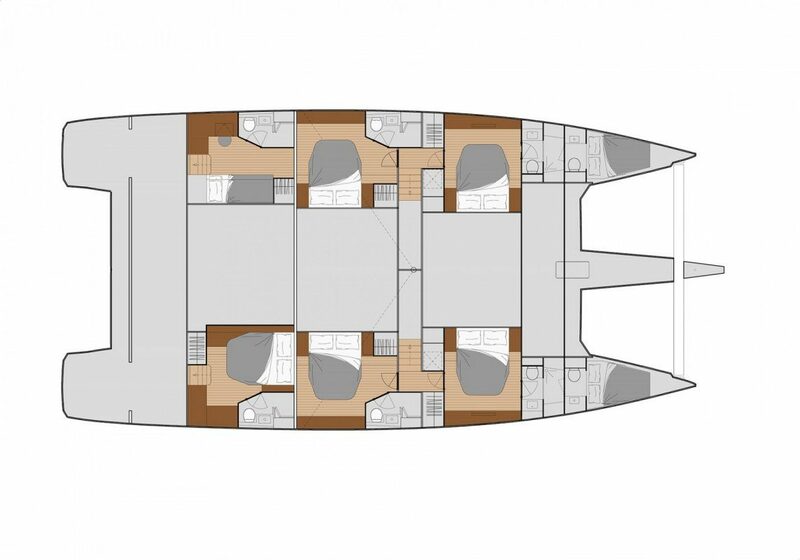 The mainsail control lines are accessible from the coachroof. 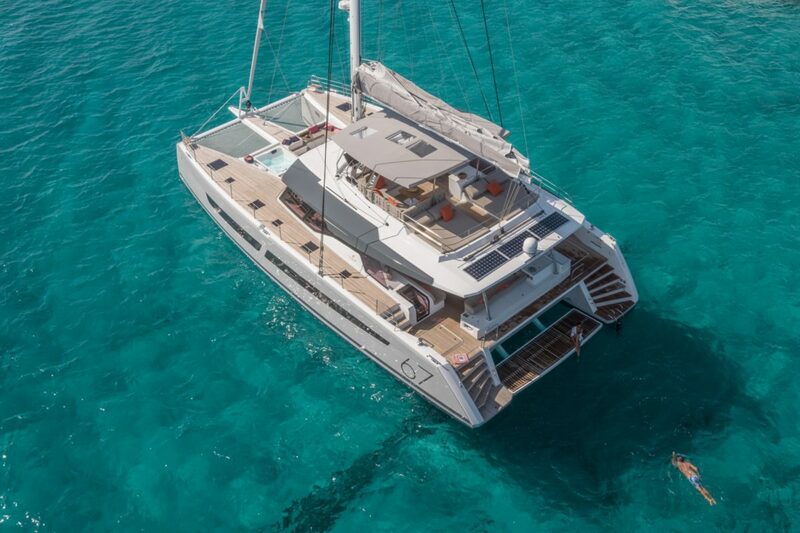 Fountaine-Pajot catamarans have crossed the Atlantic more than 500 times and traveled around the world on dozens of occasions. 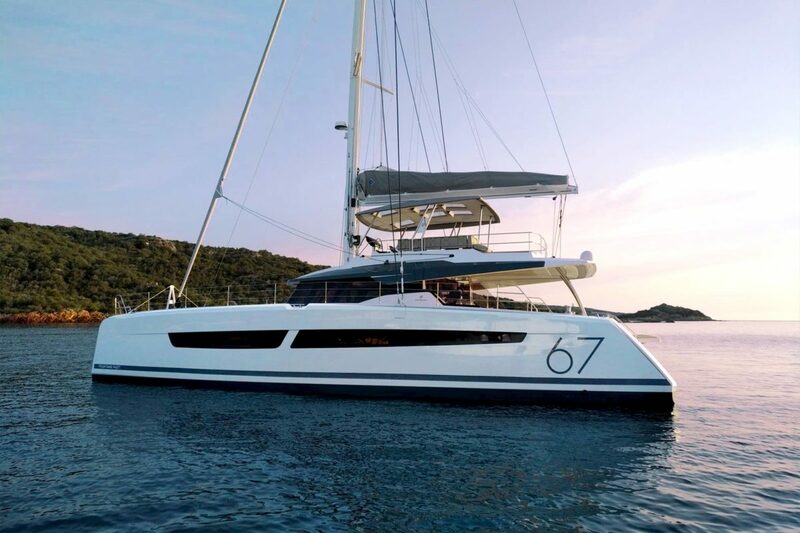 When built, most catamarans sail to their future mooring, whether in the Mediterranean, Caribbean, Asia, Australia or even South Pacific.